New Orleans–area native Dave Sintes grew up in the family boatyard. His combination of skills as an accomplished builder and self-taught designer continues to be relatively rare in the industry. The name may not be familiar to many in the marine industry, but Dave Sintes enjoyed a strong following among those who knew him and his work. 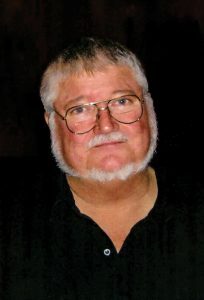 It was two highly regarded fans of his—boatbuilder/inventor Bill Seemann of Seemann Composites, in Mississippi (he’s the “S” in SCRIMP); and retired global marine-composites consultant Ken Raybould, in the U.K.—who phoned to tell me of Sintes’s passing at age 69. Starting at age 9, Sintes helped his father and grandfather at the family’s boatyard in Metairie, Louisiana, doing maintenance, repair, and new construction, mostly of wooden boats. After completing high school, Sintes joined the Marine Corps, and was severely wounded in Vietnam. Returning to the yard in 1968, he launched his own business a year later, setting up on Lake Ponchartrain in New Orleans. As owner-president of Sintes Fiberglass Designs, Sintes could account for well over 600 commercial and recreational boats designed and/or built by the time he died last August, the bulk of those projects being one-offs or limited editions. C-Flex—a novel fiberglass product created by Seemann in the late 1960s, whereby a fabricator “hangs” the material on a wooden armature, much as he or she would plank a hull—was a natural fit for Sintes, who built his first C-Flex boat in 1972. Years later, he would become similarly adept at boatbuilding with SCRIMP, Seemann’s patented resin-infusion process, developed in the 1980s. At a 1996 IBEX seminar on closed molding, Sintes showed his shop-floor SCRIMP techniques, taking attendees through the steps of a composite small-craft project commissioned by the U.S. Coast Guard. Sintes was a gifted builder who became a talented designer—a career path successfully achieved by comparatively few individuals. It was Sintes’s design-build expertise that informed his critique, in the 1990 issue PBB No. 7, of designers equipped with the latest CAD/CAM programs but whose drawings, he felt, revealed a lack of hands-on boatbuilding experience. Note the timeline above. CAD/CAM was still an emerging technology in 1990 for the production of small craft; it wasn’t until 1994 that PBB published its first feature on infusion processing. Sintes had already mastered both methodologies. However, it was the system he devised for combining CAD/CAM with C-Flex that secured his reputation as a designer/builder. With CAD he could custom-design a boat and deliver drawings to the client or supply a stock design from the Sintes portfolio (he specialized in commercial and recreational powerboats, the majority of them for fishing, and typically based on variations of traditional types). With CAM, he could deliver precision-cut frames for an armature; or, custom-build the boat at his shop, and deliver a one-off or running plug for series production; or, package frames and fiberglass supplies as a boat kit for the buyer to build (with Sintes consulting as needed). Finally, Sintes also offered C-Flex sheathing services to owners of wooden boats. Three examples of Sintes’s work, left to right: a prototype 31′ (9.4m) fast-patrol boat, for foreign military sales at Louisiana’s Bollinger Shipyard; an owner-built 60′ (18.3m) Gulf shrimper; a 45′ (13.7m) one-off performance sportfisherman for Layton Boat Works, in North Carolina. All were designed by Sintes and constructed in C-Flex, a fiberglass product invented by composites entrepreneur Bill Seemann. Sintes’s customers and clients tended to be in the mid-Atlantic, southern East Coast, and Gulf states. They ranged from relatively small outfits (e.g., Layton Custom Boat Works, Edenton, North Carolina) to rather large ones (e.g., Bollinger Shipyard, Lockport, Louisiana), along with an occasional nonmarine industrial project (e.g., Walt Disney World, Orlando, Florida). He moved his business to Met­airie after losing the New Orleans facility to Hurricane Katrina in 2005.